A History of Bab Diwan, Sfax, written by the author of this web site. Click on the image for more information. Available in English or French. 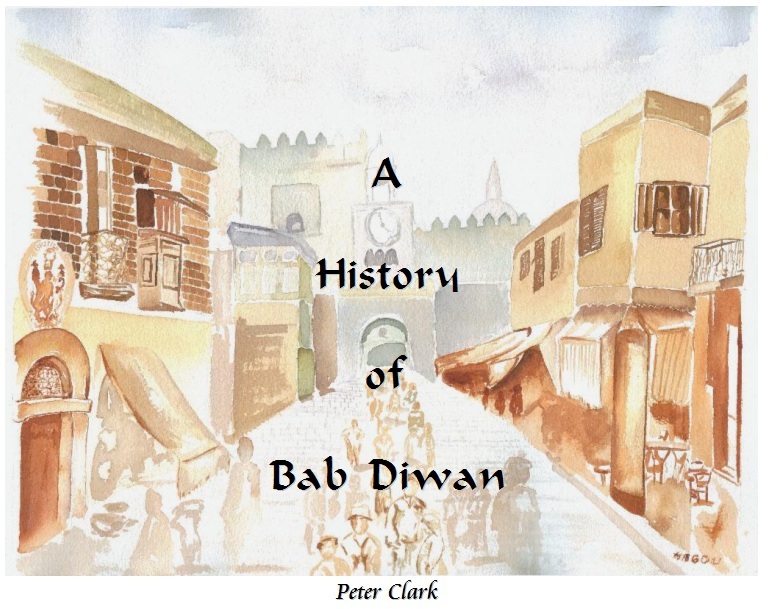 A History of Bab Diwan is available for purchase online. Bab bhar, the sea gate, Bab Diwan, all are names by which this gate has been known. This history of the gate which opens onto the sea is also the history of a city unique in Tunisia. Sfax, the strong, is renowned not only for the high proportion of mopeds and bicycles on its streets; not only for the industrious character of its residents. Sfax, the successor of the Roman city of Taparura (or, possibly more accurately, Taphrura) is a city that has been fought over by Sicilians, Venetians, Corsairs, the French, and, later, the Allied American and British forces that sought to liberate the city but in so doing tore the heart out of the European town. It was in Sfax that the revolt against the French Protectorate erupted in June of 1881, forcing the French fleet to return and bombard the city – neither the first nor the last time that a European power would do this – and finally assault and capture the city on July 16, 1881. The scars of history that were inflicted upon Sfax were witnessed firsthand by Bab Diwan. Not only did the gate bear witness to these events; in the various forms in which it has existed, Bab Diwan has experienced the same injuries, the same reversals of fortune, and – in its most recent conformation – the same renewed openness in response to the needs of commerce, culture and communication. This is the story of Bab Diwan. It has been compiled with the goal of preserving the historical record, and, by its publication, encouraging continued debate and research into the history of both the gate and the town which it represents. Watch a video presentation of the material in the book, in slideshow format.